Almost everyone knows something about spousal support (alimony), but for people who have not been through a divorce, misconceptions are fairly common about what exactly is involved in determining the amount and terms of spousal support. Spousal support has a significant impact on a divorced party’s financial well-being—whether you are the payer or the payee. Consequently, if you are in the midst of contemplating or undergoing a divorce in California, you should consult a divorce attorney who can help you understand the purpose of spousal support, as well as the factors that go into calculating it. For advice or representation in a spousal support matter, contact one of the San Diego spousal support lawyers at Doppelt and Forney, APLC. We proudly serve people in communities such as Coronado, Del Mar, La Jolla, Oceanside, Escondido, Rancho Santa Fe, and Valley Center. Often, the perception is that, for payers, alimony is an unfair burden that a breadwinning ex-spouse must suffer, as though it is adding an “insult to injury” for having provided financial support to their spouse during the marriage. For payees, in contrast, the stereotype is an ex-spouse who wants as much as possible, as though it is “payback” to a breadwinning spouse for a failed marriage. While these sentiments are not uncommon, neither conveys an accurate understanding of the purpose and scope of spousal support. Spousal support is not a punishment, a reward, compensation, or retribution. Instead, it is an economic arrangement intended to enable both parties to adjust to living as separate economic entities after having operated as a single economic entity during the marriage. In a social context, alimony is designed to avoid the adverse impact that might occur if divorced individuals are suddenly thrust into the economic marketplace when they lack the ability, means, or experience to establish or maintain financial stability. Alimony is a measure designed to avoid economic hardship to either spouse and to enable both spouses to maintain a standard of living that approximates the standard of living that they enjoyed during their marriage. If, during the marriage, both parties earned income at relative parity, the likelihood that either party will need to pay alimony is diminished. However, if one party was the primary breadwinner, that party will likely pay alimony to the other, at least for a time. The duration of the marriage. Generally, the longer the marriage, the longer the term of alimony. This is especially likely if during the marriage, one spouse sacrificed career opportunities, career advancement, and income over an extended period to contribute to the marriage in other ways, such as housekeeping and child-rearing. The ability of either spouse to earn a living. Alimony may be used to enable one spouse to gain the experience, training, or education necessary to be economically independent. The age and physical and mental health of the spouses. If a spouse cannot achieve economic independence, alimony may need to provide long-term support, unless there are other options (such as if sufficient separate or community assets can be used to support that spouse). Other factors affecting the ability of one spouse to earn a living, such as caring for young children, elderly parents, or a special-needs child. The degree to which one spouse supported or enabled the other’s financial success (for example, putting a spouse through medical school). The financial resources available to each spouse. Spousal support is commonly awarded in any case in which there is a significant income disparity between the spouses. However, one important exception does exist. Courts will generally not award spousal support to a spouse who has engaged in domestic violence. A number of factors may affect the determination of how spousal support is ultimately set, including tax consequences, child custody and support, and more. For a free initial consultation to learn how spousal support considerations may come into play in your particular situation, contact the experienced San Diego spousal support attorneys at Doppelt and Forney, APLC. 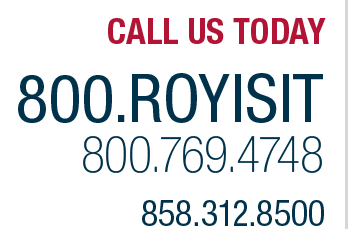 Call toll-free at 800.769.4748, call us locally at 619.303.8500, or reach us online to set up your appointment. We are also available if you need a child support attorney to help you navigate the complexities of those proceedings.